How Can Senior Living Hospitality Differentiate Your Community? Senior living communities everywhere are feeling the impact of our changing market, and these changes go beyond the influx of baby boomers needing care. Competition is higher than ever. Seniors and their families are thoroughly researching potential living and care solutions. With these changes and more in play, new senior living trends to help communities compete seem to emerge weekly. How does a community keep up? One service industry basic—hospitality— may be an industry game changer for senior living communities that execute on it authentically. Hospitality is not just a great entry space and a warm welcome. Differentiating your senior living community using hospitality is so much more than focusing solely on community amenities. True hospitality in the senior living industry is the intersection of remarkable service and authentic community. And perhaps most importantly, enduring hospitality is not a customer experience tactic relegated to communities with the largest budgets. Enduring senior living hospitality makes your facility memorable, appeals to today’s consumers desperately seeking community and become a market differentiator. You might be wondering why all the emphasis on hospitality. We’re in the care industry, right? In an industry where every single community sells very similar healthcare services setting yourself apart can be challenging. Authentic hospitality is service-focused, experiential and creates lasting community and fellowship. Excellent service contains many of the same elements at different communities, but it will look, feel and be unique to your community when it is mission-driven. If hospitality is not just beautiful amenities, delicious meals and a daily itinerary, what is it? Let’s redefine hospitality as a business driver. True, hospitality is mission-driven. Personalized experiences, authentic interactions, generosity and strong community start at an organization’s core—mission and vision. Without mission, hospitality is a surface level nicety. Mission-driven hospitality can create change and differentiation. Brand culture and community flow from your mission to create a one-of-a-kind experience residents and families remember. To provide an example of authentic senior living hospitality let’s use the sample mission: Providing care and compassion that allows our residents to fully embrace life. We’ll use this example as we explore how brand, culture and community work together to create hospitality in healthcare. Creates both small fellowship spaces and larger community venues. Guides residents to share meals and conversation together. Promotes activities aimed at helping residents make the most of each day. The senior living space design is critical. Your space reflects your brand, and potential residents will picture themselves living in your facility as they evaluate the community that best fits their lifestyle. While brand is the external expression of your mission, culture brings that mission to life on the inside. If your brand focuses on care, is your team being cared for and appreciated? Are they empowered to go beyond the basics to provide the right care (physical and emotional) to every resident? Is your team building connections with residents that create belonging? Culture separates remarkable care from bland customer service. In our example community, the way team members treat one another and embrace life together will dramatically impact the experience residents have interacting with your team. Embracing life together and going above and beyond for residents are concepts that need to be modeled by leadership. Hotel-like amenities, including personal training-based fitness centers, coffee shops and on-property boutiques are the “it” senior living hospitality trend for building a community. Rather than simply following the trends, try putting resident desires first to drive creativity and problem solving. Ask how your mission coupled with resident demand can drive innovative resident experiences. Are residents looking for more interesting dining options? Try embracing life together and building community through monthly progressive dinners. 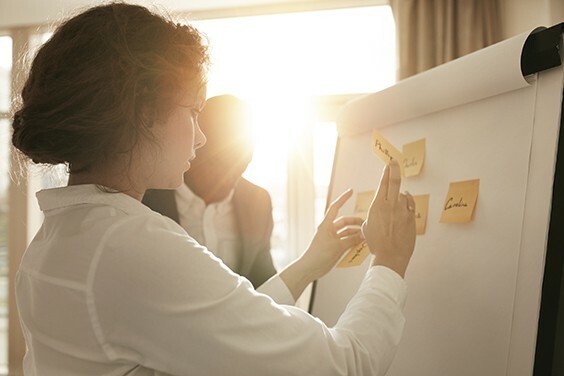 Get your residents and team involved in brainstorming the right experiences for your community, and your building design and amenities will follow. How is your mission being used to help your community come alive for residents? How does brand coupled with resident demand drive innovative (not necessarily expensive) resident experiences? 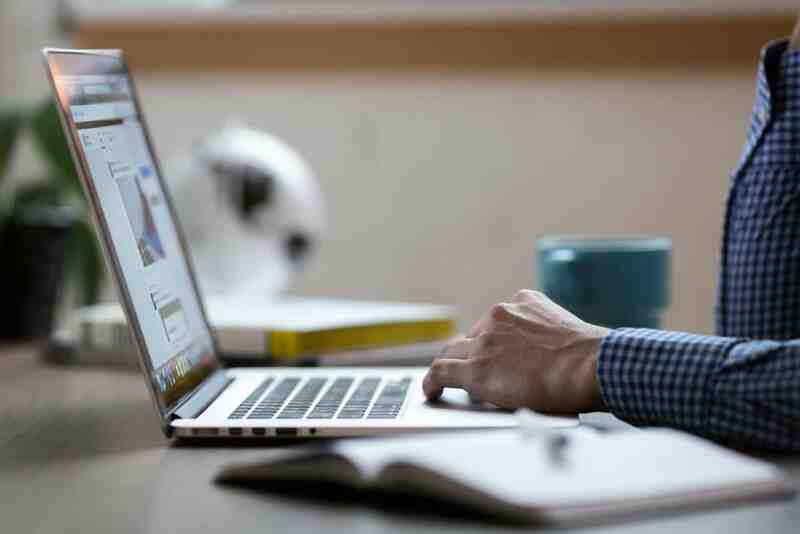 Based on your mission, how can your team provide personalized engagement? Are your employees driven to provide an authentic branded experience? Considering how your space might change to fully reflect your mission? Great architecture and design can invigorate your community. Ready to learn more? Contact us or call (920) 969-9344 to schedule a free introductory meeting. As a leader in senior living, you want your residents to have expansive, fulfilling lives. And perhaps you’ve been researching volunteer ideas for seniors to help them feel that connectivity to the greater good. If so, you’re on the right track. Numerous studies have proven that volunteerism has benefits that go far beyond helping those in need. In fact, for your senior living residents, it turns out the health benefits of volunteering are many. Let’s take a closer look at the health benefits, and then explore some volunteer opportunities for your residents. Studies show that seniors live longer, happier, healthier lives when they devote some of their time to volunteering. That’s according to studies of volunteers in the United States, who reported that they had higher levels of well-being when compared to their non-volunteering counterparts, and lower rates of disability. Analysts believe that seniors reap these health benefits because of the increased social, physical and mental activity they experience through volunteerism. The same studies indicated that volunteerism may be especially good for seniors who are experiencing stress or are likely to otherwise experience social isolation, a serious issue that affects many seniors. Even among seniors experiencing grief from the loss of a loved one, they can achieve great benefits through volunteerism, which has been shown to shorten their course of depression. With the research clearly pointing to the myriad benefits of volunteerism, senior living providers have an opportunity to truly enrich the lives of their residents, while also building the communities they call home. 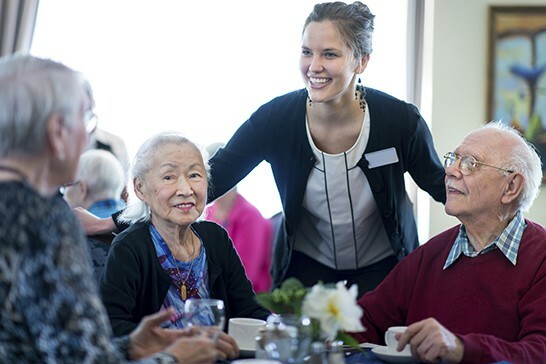 Supporting resident volunteerism can begin by simply giving seniors the tools and space they need to forge connections with the organizations that would value their contributions. Partner with local schools, YMCAs or Boys and Girls Clubs to get your seniors involved in intergenerational activities. Whether you can get your seniors to the students or students come to seniors, these intergenerational programs bring joy to residents and foster in youth a deeper understanding of the elderly. LeadingAge reported on one partnership in which seniors worked with at-risk students—providing caregiving to infants and toddlers and talking and playing cards with older children. Your more talented residents could knit hats, scarves and mittens for charity. Many of them could also help make fleece blankets for charity or for cancer patients who are going through chemotherapy treatments. Residents could spearhead a charitable drive for food, hygiene items or clothing. They also could gather care packages for troops serving overseas. Ask your veterans whether they would be willing share special notes about their time in service. These form just a small sample of opportunities available, and virtually every community has organizations in need of senior volunteers. With some time and commitment, it’s possible for an organization to create a volunteer pipeline that strengthens your community, while improving quality of life for our senior citizens. If you are considering starting a volunteer program for your senior residents or expanding on your current efforts to cultivate volunteer ideas for seniors, having the right multipurpose space is essential. By putting great architecture and design to work for you, you can create a place that helps seniors enrich their lives by playing an integral role in the community. Whether you’re looking to expand to allow for a crafting space, meeting rooms for volunteers, or perhaps a volunteer resource center, we can help you get there. Ready to learn more? Contact us or call (920) 969-9344 to schedule a free introductory meeting.